The practice of self-reflection for some students is often thought of as tedious and more often than not, even though the benefits of self-reflection have long been documented, little time is given (to the fault of both students and educators) to building upon the necessary skills required for aiding this process. Dungeons and Dragons (D&D), a table-top roleplaying games system developed by Gygax and Arneson, utilises a host of game mechanics such as, but not limited to: character creation, customisation, skills development, leveling over time, story-telling and a game-masters feedback. Many of the game mechanics in D&D, require the player to self-reflect on behalf of their character and continually assess how they wish their character to develop for future game sessions. Coupled with interactive feedback (visual/written/auditory/narrative-development) that is provided throughout each game session from a game master who leads the players through a pre-developed story, the basis of the mechanics provides some similarities to a facilitator leading learners through an assignment. 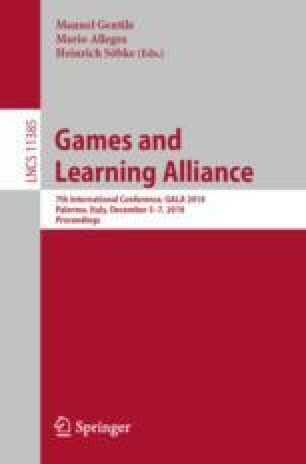 In this paper, the authors present a playful example of how roleplaying games can be used to facilitate student self-reflection. A discussion of the design, method and mid-pilot feedback of n = 11 students undertaking the Dungeons & Dragons Self-Reflection Tool is presented alongside next stage pilot trials and considerations of future work.